Parents and teachers agree that practice is a very important factor in learning to play any instrument well. But how do students learn the skills needed to achieve the "quality practice level," that polishes and makes their music shine? With "Let the Practice Games Begin," gone are the hours of dull practicing, and watching the clock! 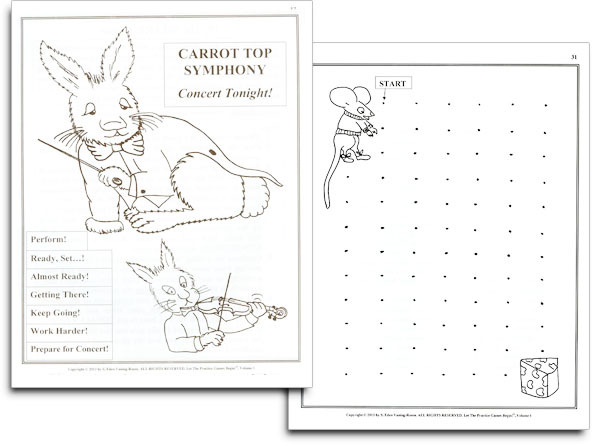 This book makes practicing FUN! What parents and teachers love is that, "hidden" in these imaginative and challenging games, is the EXACT PROCEDURE any student needs to learn to achieve the level of "quality practice" that gets awesome results! This EXACT PRACTICE PROCEDURE used by great artists, is then drilled over 180 times! With this book you can turn around the students' attitude to love the challenges of learning new music and new techniques. They will learn the skills of success and find out they can be successful at ANYTHING in LIFE, when they apply themselves in a structured way. 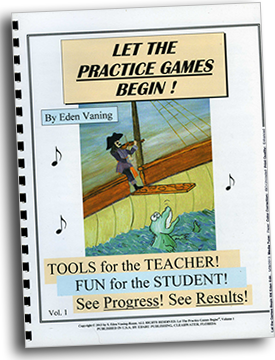 "Let the Practice Games Begin" is a totally UNIQUE BOOK, and the book parents and teachers have been searching for, to teach students HOW TO PRACTICE!